Join us for a two-day competitive Email Strategy Study Group designed for marketing managers and senior executives responsible for their email and social marketing program marketing strategies. Participants will learn to create a plan by using 28 proven tactics to attain an annual acquisition goal of email subscribers. By using the plan, you will learn how many subscribers you can generate per tactic, what budget you’ll need to accomplish your goal, and how much profit you should expect. We’ve seen results that show spending $120,000 can bring in $10 million in profit from newly acquired subscribers! Registration is limited! We can only accept 49 participants. And, because the seminar is offered by the Database Marketing Institute, you will receive a certificate of completion. 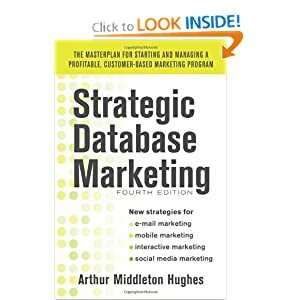 Over 1200 alumni have graduated from Database Marketing Institute programs.